Joanna Cheng, 14, is a ninth grader in Thomas Jefferson High School for Science and Technology. This is her 10th year studying piano with Dr. Marjorie Lee. She was the 1st prize winner for the 11 – 12 age group of the 30th International Young Artist Piano Competition in 2015 and performed in the winner’s concert at Kennedy Center for the Performing Arts Millennium stage. She was the Virginia state winner of the 2016 Music Teacher National Association (MTNA) Junior piano competition and received honorable mention at the MTNA southern division competition in Tampa, FL representing Virginia. After advancing to the finals in the Music and Arts at Providence Competition in 2018, she ultimately won 1st place. Also in 2018, Joanna won 1st place in the WMTA Viola Hartman Competition. In her free time, she enjoys reading books and coding for fun. I am eleven years old and will be a seventh grader at St. Albans in the fall. I have participated in competitions organized by WMTA, MSNTA, NVMTA, etc and I won several awards. I feel very excited because I was able to be at the YouTube Space in NYC recording a music video with other kids that soon will be released by From The Top. It has been couple of months that I discover a new hobby that I enjoy a lot Rubik's Cube!!! I am challenging my self at solving all kinds of Rubik's cubes, if I keep beating up my records and improving my times to solve them I would like to go to a Rubik's Cube competition, but first I want to get better! Hi! My name is Elizabeth Qiu, and I go to Herbert Hoover Middle School, in MD. I have been playing the piano for 6 years. I've won many competitions, including 1st place in the MSMTA 2015 Gertrude S. Brown Memorial Piano Concerto Competition. I also got first place in the 27th and 29th International Young Artist Piano Competition and performed at the Kennedy Center Millennium Stage twice. I am the 2017 Maryland State MTNA (Music Teachers National Association) Junior High Piano Performance Competition. My performance was once also aired in New York City on the WQXR radio station. Besides playing the piano, I like to play violin, volleyball, and run cross country. My name is Nora Sun. I am a 1st grader at Churchill Road Elementary school. I have been learning piano with Dr. Lee since August 2018. I love music and playing piano. I enjoy attending recitals where I can learn from others and show what I have learned. Besides piano, I also love gymnastics, swimming, ice skating, arts and crafts. Andrew Zhang just turned 15 years old, and will soon finish his freshman year at the Thomas Jefferson High School for Science and Technology. It is no easy task to keep up with one’s academics at TJHSST and music studies, as many senior members of this studio can attest to. Luckily, Andrew has survived both. That means giving up a lot of sleep and other activities, and learning to get a little sleep here and there, like on the school bus or in the car on his way to Dr. Lee’s home for lessons. The most memorable experiences as far as music is concerned for Andrew in the past year included participating in the Music Teachers’ National Association Eastern Division competition in January and the Kosciuszko Foundation Chopin Competition for Young Pianists in March. Both competitions were tough. Although Andrew did not win, he certainly learned a lot from listening to other players. In the past year, Andrew joined the Tacy Foundation and has been playing at Senior Living Homes. Many of the residents there are elderly and disabled. They always welcomed Andrew and applauded him warmly at the end of his performance. To bring a smile to their faces and perhaps one or two good memories to their mind makes Andrew very happy and proud. Thanks to Dr. Lee, Andrew has had the chance to go to Prof. Alan Fraser’s masterclass and receive an individual lesson. It was very beneficial to Andrew’s musical development. Greetings! My name is Tan Nguyen and I will be a ninth grader. I have been with Dr. Lee for a year and we get along great because like her, I enjoy playing the piano and learning new pieces. I also enjoy lessons with her because she introduced me to great composers like Ravel, Prokofiev, and Medtner In addition, her studio has many opportunities for me to perform on stage and in competitions. I like this tremendously because they allow me to showcase my hard-work and possibly even earn money at the same time. In addition, the lessons are also 99.8% of the time very enjoyable, fun, and helpful. Besides piano, I enjoy fishing for large mouth basses and playing basketball. Hi, my name is Kelly Ji, and I am 9-years-old. Currently, I am a 3rd grader at Holton-Arms in Bethesda. I began to play piano at the age of 7, and started with Dr. Lee when I was 8-years-old. Every week I look forward to my piano lesson with Dr. Lee because she pays close attention to my work and helps me to make it better. I’ve learned new, challenging pieces that I could not play before. My favorites are the ones with bouncy, staccato music. Dr. Lee is nice, and fun, and smiles and laughs. She writes in my notebook each week to help me plan what to study at home. At the end of class, I like getting to choose a lollipop to take home. They are sweet just like Dr. Lee! Playing in recitals is a good experience, and I look forward to doing competitions. Besides playing the piano, I like to swim, do all types of art like painting and sculpting, and do the splits and back-walkovers in gymnastics. I also love to write stories and have written them down in a journal since I learned to write. At school, I enjoy science, playing the violin, and taking French. Learning is important to me and it’s fun, especially piano. Arthur, 11 years old, is a Rising 7th grader. He is the President of the School Student Government. Arthur has been a student of Marjorie Lee for two years. Before that he studied with Dr. Paul Hanson in Richmond. He has had two solo recitals in 2015 and 2016. Arthur has won several awards including First Place in the 2014, 2015, and 2016 Virginia Music Teachers Association (VMTA) Central District Auditions. He has also won Second Place in Level 1A of the 2014 and 2015, Level 1B of the 2016 VMTA State Auditions. He is a two-time First Place winner of the Harold Protsman Classical Period Piano Competition held in Norfolk, including the 2016 Helen and Warren Aleck Award for the Most Promising Performance. He has also won First Places in the Richmond Music Teachers Association 2016 Bach Competition and the Young Musicians Inspiring Change (YMIC) 2016 Piano Solo Competition held in Maryland. He also recently filmed a promotional video for Steinway & Sons (http://youtu.be/ZSr3XGnZtbU). Arthur plays violin as his second musical instrument. In addition to his love of music, Arthur loves to read and play video games. He participates in sports including soccer, basketball, and swimming. My name is Trung Nguyen. I am 15 years old and a 10th grade homeschooler. I have been a part of Dr. Lee's studio for a year and it's been a wonderful experience. Every week, I look forward to going to lessons with her because they are challenging, informative, and fun. I also love to play with her cat, Leo and give him catnip. On my free time, I enjoy sight-reading new pieces, fishing, and telling good jokes and brain-teasers. By the way, how do you keep a fool busy? Put him in a round, circular room and tell him to sit in the corner! Hello, my name is Sophia Lin. I’m a rising 6th grader at Haycock Elementary School. I am eleven years old and I have been studying with Dr. Lee for four years. I recently won first place in the WMTA Novik Concerto Competition! I also won 1st place in the Viola Hartman competition, Honorable Mention in the Steinway and Sons competition, and second place in the NVMTA Achievement Awards. This year was definitely my best year so far, as I finally get a lot of things, like how to practice and using the arch. I am looking forward to next year’s MTNA competition and finally getting my octave. Outside piano, I also play the violin and enjoy math, science and reading. I am a diehard Harry Potter fan and I am love swimming. I expect a fun and successful year! My name is Samantha. I'm eight years old. I go to Ronald McNair Elementary School. I've been learning piano for two years and been with Dr. Lee since March 2018. Swimming and skating are two of my favorite hobbies. I love both sports and music. My name is Zachary. I am eight years old and a rising third grader at Wolftrap elementary school in the fall of 2018. I started playing the piano when I was six. We just moved from Richmond in the spring of 2018 and felt very lucky to join in Dr. Lee’s piano studio. When in Richmond over the past two years, I won the third place and honorable mention in the Primer level of Richmond Music Teachers Association 2017 and 2018 Bach competitions, respectively. Besides playing piano, I also likes swimming, ice-skating. I was in a swim team at NOVA of Virginia Aquatics, and now transferred to National Capital Swim Club at Tysons Corner. I was like reading, and my favorite book is “Wonder”. Hello! My name is Thai Nguyen and I am a rising fifth grader. I love going to my lessons with Dr. Lee because they are fun and never boring. This is my third year as her student and I am doing great. I competed very well in many events this year such as the WMTA Bartok festival, NVMTA Judged Recital and Maryland State Solo. I like competing because they are fun and I feel like I am improving every time I perform. In my free time I enjoy riding my bike and playing board games, basketball, legos, and chess. My name is Caroline Fu. I am eight years old and a third grade student in Lemon Road Elementary School. I have learned piano under Dr. Lee's guidance for almost three years and I am very happy that I learned a lot of great knowledge from Dr. Lee. I can play some great pieces and enjoy the beautiful music. The most exciting moment was that I played with Dr. Lee and won the first place in a concerto festival. I love attending recitals and competitions because by attending performances I can get precious opportunities to learn from others and also expose what aspects I am still weak of. In 2018 I hope I can play the longer pieces and improve my piano skills to make my performance more accurate and sound with emotions. Besides piano, in my spare time, I love reading, painting, playing tennis, and playing with friends! James Bennett is a freshmen at James Madison High school. He was born in Warsaw, Poland. He has studied with Dr. Lee for 4 years. This year was another exciting year of learning. James enjoyed performing Rachmaninoff's concerto with Chris and won 3rd place in the NVMTA Concerto competition. This year he was preparing for Chopin International competition, unfortunately he never made it to Hartford because of a snow storm. James is grateful to Dr. Lee for the opportunity to work with professor Fraser. He was very helpful and expressive. James won first place at the Solo MTNA competition and 3rd place at the Hartman competition. He is looking forward to next year and learning many new pieces. He feels fortunate that Dr. Lee is his teacher and is grateful for her hard work and dedication. James also enjoys activities outside of piano, such as playing video games and hanging out with friends, although music takes a large block of his time. Caden is 7 years old and will be a second grader in Thurgood Marshall Elementary School in the fall of 2018. He was excited to start participating in several piano competitions this past year and won a second place for NVMTA’s Concerto Festival as well as an Honorable Mention for WMTA’s Hartman Award. He also loves maths and reading. Besides piano, he also spends time on karate, swimming, tennis, and going to LEGO robotic classes. Angelina is a rising first grader at Westbriar Elementary School. Angelina has been learning piano with Dr. Lee for about one year since the fall of 2017. She attended her first piano recital at the Bach Music Festival in March 2018. Her favorite pieces include Bach-Minuet in G Major, Bach-Musette in D Major, and Glass Slipper. Aside from music, Angelina also loves reading, painting, ice skating, and dancing. She visits the Air & Space Museum often and can learn all the planets by heart. Angelina sets her goal to be an astronaut and is working very hard to get ready intellectually and physically. She wants to bring her own piano pieces to the space. I will be seven years old soon. I am a first grader at Grace Episcopal School in Alexandria. I have been learning piano with Dr. Lee since April 2016. I love playing piano and listening to classical music. I enjoyed participating Fall Festival, General Recital, Concerto Festival, and Sonata Festival. Besides piano, I also like reading, baseball, soccer, and skiing. My name is Davanee, and I began piano learning with Dr. Lee since Summer of 2016. I will be a rising 5th grader at Churchill Road Elementary. I am a crazy girl with lots of creative thoughts. I love animals, especially bugs and birds. I enjoy playing in the garden where I catch fireflies, frogs, and put caterpillars on my palm to feel the gentle movement. I also like to listen to the sounds of nature. Music plays a big role in my life. I turn into a different person when I play piano. Ballet is not my cup of tea, but my fingers can dance elegantly on the keyboard. Overall, I am a happy kid, I laugh out loud all the time, enjoy travelling with family and the quiet time with my parakeets and betta. When I grow up, I want to be a scientist, pianist, and artist. Hi! My name is Claire Peng and I am a rising seventh grader at Kilmer Middle School. I am eleven years old and I have studied with Dr. Lee since June 2017. I really look forward to my weekly piano lessons because they are challenging and I like Dr. Lee's sense of humor. I also enjoy petting her pets, Callie and Leo. Besides playing piano, I enjoy drawing, reading, and hanging out with my friends. Chao! My name is Ellie Nguyen, I am in AAP third grade in the school year of 2017-2018 at Westbriar elementary school. I am nine years old, and I started studying with Dr. Marjorie Lee three years ago at the age of six. I have been to many competitions and recitals such as: MSMTA solo, IYAPC, Knabe, NVMTA Concerto, etc. Besides playing the piano and going to school, I like to craft, read books, tumble, build legos, listen to music, swim, and go to amusement parks! I mean, who doesn’t enjoy riding roller coasters and water rides?! ​I am 10 years old and a rising 6th grade student. I am going to attend Roberto Clemente Middle School in Math/Science/Computer Science program. I enjoy playing piano and especially like playing pieces that are slow and expressive. This is my 2nd year studying with Dr.Lee and I feel I have improved a lot with her help. I am still working on improving my technique and using finger power not my arm power. I have accomplished most of my goals this year. Other than piano, I like to draw, dance, swim, and most of all I really like attending school because it gives me a chance to learn many things. I am striving to continue on the path to becoming a good pianist. Hi, my name is Gregory Peng. I am eight years old and will be a third grader at Wolftrap Elementary School this fall. I started my piano lessons with Dr. Lee in March 2018. I enjoy playing piano as well as reading and playing soccer. I also like to pester my sister whenever I can!!!! 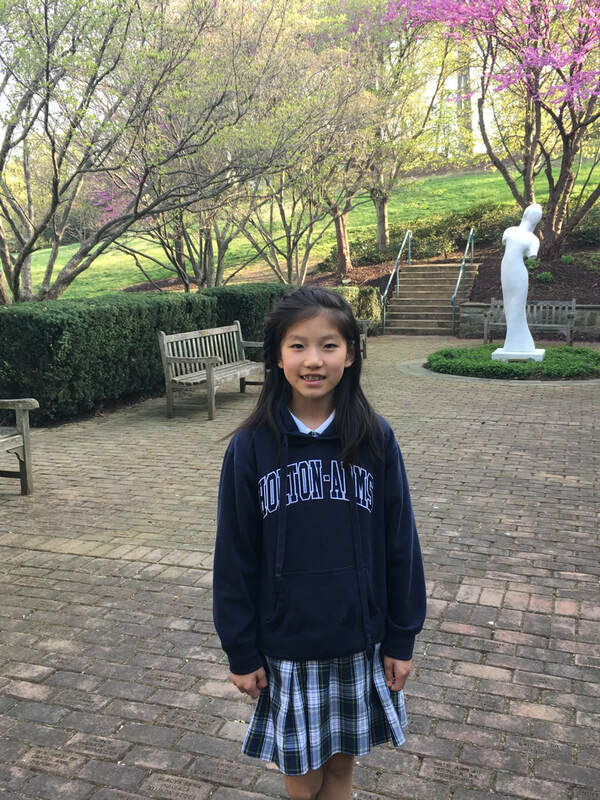 I am Tongtong, a rising seventh grader at Takoma Park Middle School. Playing piano is an important part of my life. I have a great piano that shouts like bulls running on grasslands, allowing me to incorporate my wildest imagination in my pieces. This year, my favorite piece is Fireflies by Amy Beach. I have learned a lot about musicality from it. 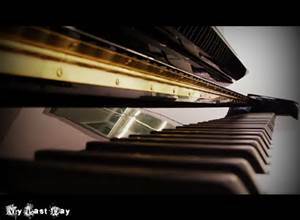 Playing piano is one way to make music, and I also enjoy singing, either by myself or in chorus. Even though I have spent a lot of time on music, I am also excited about going outside and frolicking on green grass. Of course, that would only be true in the spring and summer. I like rock climbing, swimming, and zip lining. I also like playing badminton in my backyard. Whenever I hit the birdie, it makes a swoosh splat sound, like a pebble falling in the pond. At school, my favorite subject is science. Currently, we are doing engineering and physics. It is exciting because we get to build machines, and use them to compete against each other. ​Hi, my name is Hiroki Matsui. I am 10 years old and I am a 5th grader at J.W. Alvey Elementary school. I have been playing the piano for three years and this is my first year with Dr. Lee. I am very excited to learn and challenge myself with many pieces. I’m a student of the gifted and talented program at school. Also, I am on the leadership council at school to encourage positive relationships between the students. Other than practicing piano, I started to play the oboe this year. In my free time, I play on my computer and play with my yorkie. Hi my name is Leo Sun. I started my piano lessons with Dr. Lee in April, right after I turned 4 years old. I love the magical world of music. The feelings when my fingers touch those black and white keys is so amazing! I am currently a student of the Woods Academy in Maryland. Besides playing piano, I enjoy reading books, doing puzzles, swimming, and playing soccer. Jude Bruce began studying piano under Dr. Lee in late February 2018. He really enjoys playing and memorizing the piano pieces that he has learned. Jude, soon age 6, is finishing kindergarten at Montessori of McLean. He has two younger sisters Evangeline and Vera, ages 5 and 2. Jude was born in Baltimore and has always lived in McLean. He enjoys going on adventures with his sisters such as to Udvar Hazy or on the pirate cruise. He loves trains, with his favorite being the bullet train from Hong Kong to China. He enjoys learning other languages and cultures, and he is an avid eater of sushi, poke and dum sum. Jude is very excited about the family Outer Banks beach trip in August. Hello! My name is Yulania Wang and I am 10 years old. I attend Thurgood Marshall Elementary School. I love playing the piano and I have been studying piano with Dr. Lee for 3 years. I got 2nd place for YMIC 2015, 1st place in the Concerto Festival 2016, 3rd place for Hartman Awards 2016, Honors for the Sonata Festival 2016, 2nd place for IYAPC 2016, 1st place in Maryland State 2017, Master Class with Dr. Angelucci for Knabe 2017, 2nd place for Asian American 2017, Honorable Mention for Maryland State 2018, and Honors for Sonata Festival 2018.I have learned so much from Dr. Lee from tone quality to expression. I am so grateful that she is my piano teacher. Besides playing piano, I also enjoy writing, reading, sketching, drawing, dancing, and crafts. Learning piano is such an amazing thing and I love it! 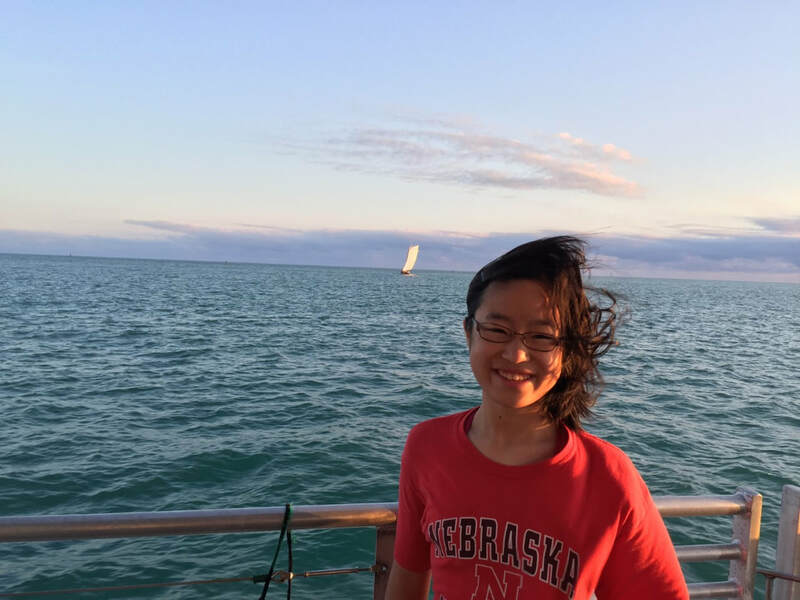 Michelle Yue is a junior in the International Baccalaureate program at Princess Anne High School (located in Virginia Beach). There, she is an active student leader, and this upcoming year is her third year as class president. This past year was Michelle’s second year studying with Dr. Lee, and with Dr. Lee, she was an alternate in the MSMTA Gertrude S. Brown Memorial Piano Concerto Competition, and she has placed in the WMTA Viola Hartman piano competition, the Harold Protsman Classical Period Piano Competition, the NVMTA Concerto Festival, and the MSMTA Solo Festival. During the summer of her sophomore year, Michelle attended the Indiana University Jacobs School of Music Piano Academy, where she was chosen as a masterclass performer. In past years, as a student of Josephine Jones, Michelle placed in the Harold Protsman Classical Period Piano Competition five times and received the Helen and Warren Aleck Award for Most Promising Overall Performance. In addition to playing piano, Michelle loves science, philosophy, art, reading, and traveling. My name is Charlie. I am eight years old and is a rising third grader at Cedar Grove Elementary school in the fall of 2018. I have been playing piano with Marjorie since I was five. This year I attended several piano competitions and the talent show in my school. Besides piano, I also like sports, reading, writing, drawing, and STEM. My favorite sports are hockey, soccer, basketball, tennis, and table tennis or (ping pong). I also like swimming. My swim team is RMSC in Germantown. My summer swim team is Barracudas in Arora Hills. I am also in a Mites hockey team.